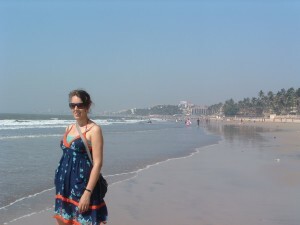 Whilst staying in Mumbai we also enjoyed a lovely day on Juhu beach. You can get to juhu beach on a suburban train. It cost us as little as 40 ruppees for us both to get to Juhu beach, from Mumbai Central. This is less than 50p! If you stick to public transport, like buses and trains you will get the local prices! 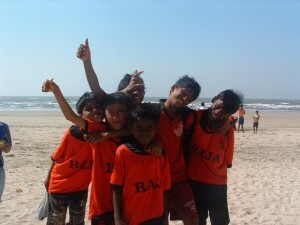 Juhu beach is well worth a visit. There are some nice shops close by and lots of places to eat along the coast. It is good to get away from the hectic city for a while and just relax! We stayed in Mumbai for 4 nights. This was just enough time! Even though Mumbai is another big city, we managed to have a much more relaxing time here! We decided to take things at a slower pace, as so far we had been rushing here there and everywhere, and wearing ourselfes out too fast! We were staying right by the coast, so we took walks every evening down the coast and enjoyed watching the sun set each night. 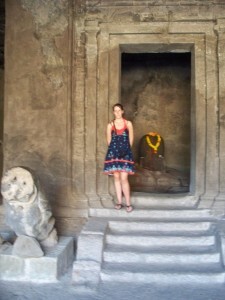 Whilst in Mumbai we visited Elephanta Island, which is an island that you can reach from Mumbai harbour. You go to gateway of India to get your tickets. The ferry tickets cost 120 Ruppees and it costs 250 Rupees to get in. Make sure you get your tickets from the desk rather than the touts. They tried to sell it to me for 1700 Ruppees. 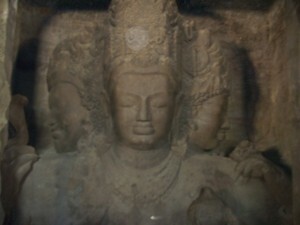 On Elephanta Island there are the Elephanta caves, which have been carved out of rock.